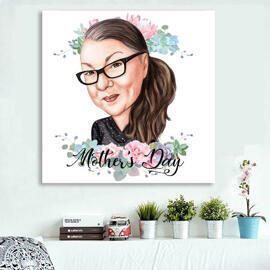 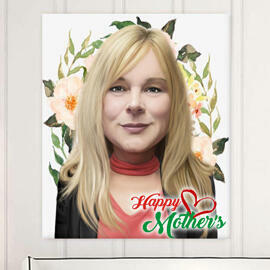 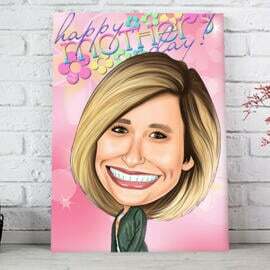 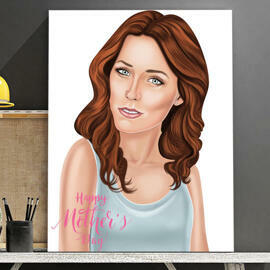 Get a digital cartoon drawing of your mother as a personalized gift idea to her on Mother's Day. 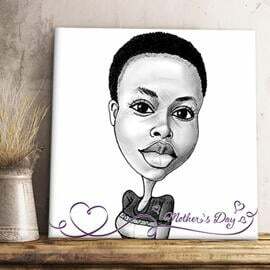 Such a qualitative drawing will be executed by professional artist of Photolamus and after your approval delivered as Canvas print. Photolamus offers you an original idea to celebrate a Mother's Day with family and make a unique gift to the most lovely woman in the world either it is your mother, grandmother, mother-in-law or someone else. 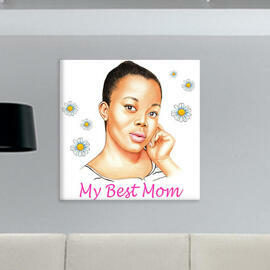 Canvas Print will be delivered within 15-20 days by post. 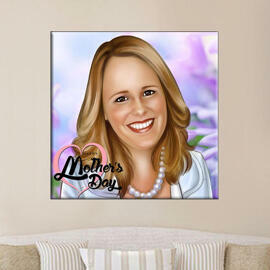 Before, physical delivery, you will get a digital JPEG File on Email for approval. 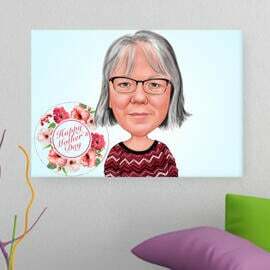 Mention any requirements and upload some of favorite photos in a right foreshortening.